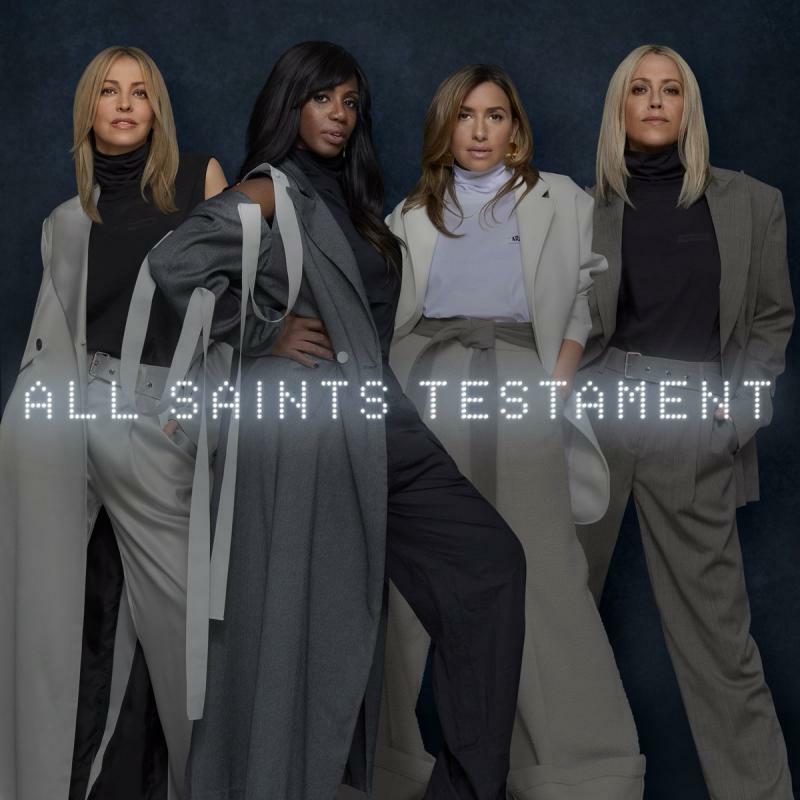 A new All Saints album is both good and slightly surprising news. Fans of the band have been used to a pattern where their patience has been somewhat tested. After a premature split following 2000’s Saints & Sinners, there was a six year wait for any activity. After 2006’s Studio One, it was a full decade before their return with Red Flag. Now, just two years on, we’re treated to the most prolific stage of their career (it’s an even quicker turnaround than their first two albums). Red Flag was exactly the album they should have come back with. On Testament they’ve surpassed the quality of that very impressive release. Writing about Red Flag, I noted their impeccable run of singles. Nothing has changed there, as first single, ‘Love Lasts Forever’ is yet another addition to their formidable catalogue. Shaznay Lewis wrote the song about her worries when her son was about to start high school. It’s one of the songs on Testament that continues the use of tribal rhythms featured on Red Flag. It builds into a crescendo of vocals repeating, “so when you’re ready, you gotta let me know” with handclaps and percussion to a soaring breakdown. An exciting part of Testament is the return of William Orbit who has stepped in to produce two songs. After helping create absolute perfection on, ‘Black Coffee’ and ‘Pure Shores’ (and let’s not forget the very wonderful album track, ‘Surrender’), he picks up as if 18 years haven’t passed. On second single, ‘After All’ it’s glorious to hear his signature warm production rippling like waves. All Saints give a typically gorgeus performance with their exquisite multi-layered harmonies. The lyrics, “all the reasons why we said it’s over doesn’t seem to matter after all” could be applied to a romantic break-up and could also be seen as dealing with the band’s acrimonious split. Orbit also produces, ‘Testament In Motion’ which begins with lush electronics not dissimilar to Madonna’s ‘Drowned World’ before several enticing tempo changes. Mel Blatt fiercely sings, “you were strong but I’m a fighter, my strength won’t let me down” on this tale of finding inner strength – a theme that was explored on Red Flag. One of Testament‘s biggest strengths is how much we get to hear all the members have their moments. Nicole and Natalie get more lines this time round. On the anthemic, ‘Glorious’ which sounds like a relative of Little Mix’s ‘Salute’ they step up to the marching drums and give strong performances. It’s another euphoric song about keeping your head up and moving forward: “just like magic all before I lose my faith, you’re just like magic, you came and saved my fall from grace”. There are often melancholic undertones to Testament. ‘Three Four’ (named because it’s in 3/4 time signature) reveals their grittier side with a slinky downbeat groove and distorted vocals. ‘I Would’ is a brooding electro-ballad that’s dark enough to fit on Lana Del Rey’s Born To Die. The retro soul of ‘Don’t Look Over Your Shoulder’ takes on ‘Bennie & The Jets’ similar to Jessie Ware’s ‘Midnight’ from last year takes on the acceptance of a relationship ending. They save one of the most uplifting moments until the end (similar to ‘Pieces’ leaving Red Flag on a positive note). The touching ‘Footprints’ finds them repeating, “if you want you got it I will be right here for you’ over a soft gospel-like melody. After All Saints showed they could remain current with nods to their past on Red Flag, Testament has solidified their return as one of the most pleasing comebacks of recent times. It’s a stylish and confident album full of their usual majestic vocals and strong character. Testament reveals its depth the more you listen. Long may they continue to be this prolific if this is the quality we can expect from them.